Mobile beauty therapists, makeup artists, hair stylists, mobile spray tanning and in home beauty services are growing trends in the Auckland beauty industry…..providing a wide range of beauty services for you to enjoy in the comfort of your own home… From facials, manicures and pedicures, threading, tinting eyelashes and brows to day to day skin care and treatments. Pamper yourself before the ball or maybe arrange a group booking for you and your friends… Schoolball.co.nz is only too happy to recommend the following Auckland mobile beauty therapists, makeup artists, hair dressers, mobile spray tanning and in home beauty services. One stop shop for your school ball beauty needs; being a mobile service makes getting ready for your special night hassle free. Why not make an afternoon of it and get the girls together. For ALL your School Ball needs! 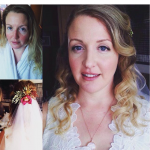 Bridal Beauty is a group of makeup artists and hair stylists who specialise in school balls, formal events, and weddings. All our artists are experienced, qualified professionals, and fully mobile. We cater for a variety of budgets, and offer a wide range of Artists to suit your individual style and needs. Available in Auckland. Qualified with Excellence in Makeup Artistry, Ball, Bridal, Glamour and Occasion Makeup. Experience in NZ Fashion Week, Location Shoots and more. Beauty studio based in Flatbush, Auckland. 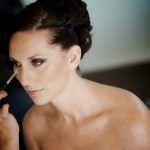 Hair and makeup artist located in Auckland. Very reliable and skilled in makeup artistry. Well presented, and helpful with a variety of looks/styles. Competitive prices and happy to come to you.